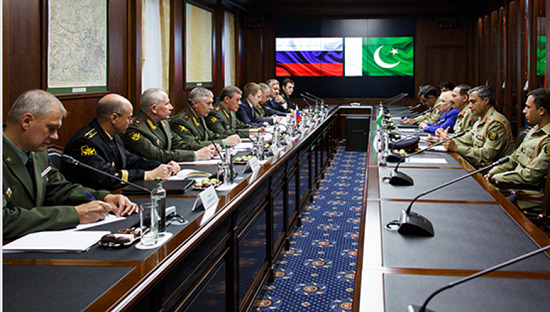 The joint bilateral military training exercise 'Druzhba III' has begun between Pakistan and Russia. This exercise is being organized in the north-western hill region of Pakistan. This is the third edition of military exercises between Pakistan and Russia. The Pakistani army has said that a detachment of the Russian army has reached here to take part in the third edition of a joint bilateral military training exercise. This military exercise will run from October 21 to November 04. This military exercise started in 2016. In October 2016, the first joint military exercise was organized between Pakistan and Russia. It was organized in Pakistan. This year's practice is considered to be the most modern yet. In the year 2017, this practice was organized in Russia. The units of Russian and Pakistani Defense Forces are doing joint exercises in the training range of the National Terrorism Center in Pabby City, Khyber Pakhtunkhwa province of Pakistan. More than 70 soldiers from Russia's Southern Military District are participating in this. The troops of both countries will exercise at the height of 1400 meters from sea level. The Pakistani army said that the third practice is part of Pakistan-Russia bilateral training cooperation. Both the countries agreed to increase cooperation in the defence industry and military training. Agreed to increase the import of arms and equipment and to promote joint participation in military exercises.